As the sequence of the the unicellular choanoflagellate Monosiga brevicollis continues to be analyzed, it is now clear this “simple” creature is loaded with all kinds of genes originally believed to have evolved in animals. Today, let us consider the research of Xinjiang Ca, from Duke University Medical Center. Cai’s paper is entitled “Unicellular Ca2+ Signaling ‘Toolkit’ at the Origin of Metazoa” (Mol. Biol. Evol. 25(7):1357–1361. 2008). An essential component of animal nervous systems—sodium channels—evolved prior to the evolution of those systems, researchers from The University of Texas at Austin have discovered. Zakon, Hillis and Liebeskind discovered the genes for such sodium channels hiding within an organism that isn’t even made of multiple cells, much less any neurons. The single-celled organism is a choanoflagellate, and it is distantly related to multi-cellular animals such as jellyfish and humans. Sodium channels are an integral part of a neuron’s complex machinery. The channels are like floodgates lodged throughout a neuron’s levee-like cellular membrane. When the channels open, sodium floods through the membrane into the neuron, and this generates nerve impulses. Because the sodium channel genes were found in choanoflagellates, the scientists propose that the genes originated not only before the advent of the nervous system, but even before the evolution of multicellularity itself. Our cerebral cortex, or pallium, is a big part of what makes us human: art, literature and science would not exist had this most fascinating part of our brain not emerged in some less intelligent ancestor in prehistoric times. But when did this occur and what were these ancestors? Unexpectedly, scientists at the European Molecular Biology Laboratory (EMBL) in Heidelberg, Germany, have now discovered a true counterpart of the cerebral cortex in an invertebrate, a marine worm. It has long been clear that, in evolutionary terms, we share our pallium with other vertebrates, but beyond that was mystery. This is because even invertebrates that are clearly related to us — such as the fish-like amphioxus — appear to have no similar brain structures, nothing that points to a shared evolutionary past. But EMBL scientists have now found brain structures related to the vertebrate pallium in a very distant cousin — the marine ragworm Platynereis dumerilii, a relative of the earthworm — which last shared an ancestor with us around 600 million years ago. We’ve just seen that many preadaptations for the evolution of neurons were in place. 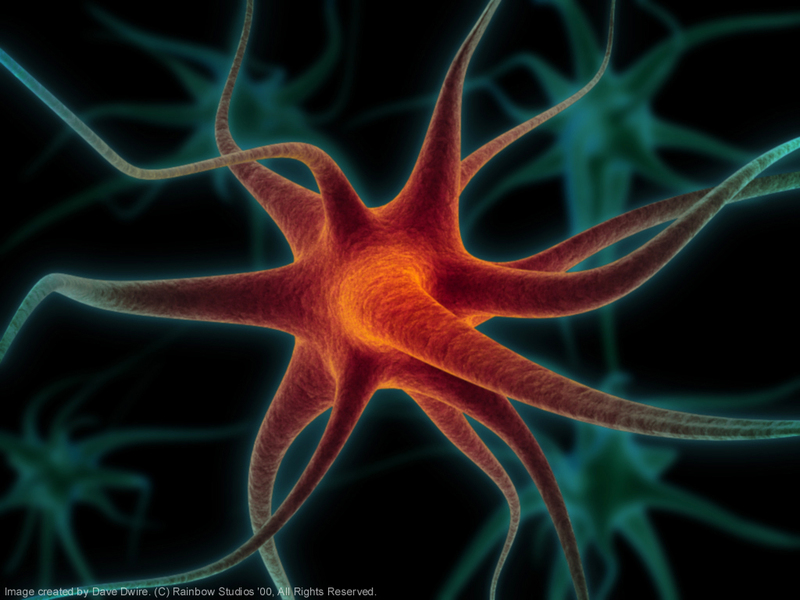 Calcium toolkit for secretion of neurotransmitters? Check. Post-synaptic scaffold? Check. Circuitry for neurogenesis? Check. But what about the neurotransmitters themselves? Now, in principle, just about any molecule could serve as a neurotransmitter, as you simply need something that specifically binds to a receptor that triggers the opening of an ion channel. In fact, some amino acids, like glutamate, can moonlight as neurotransmitters. Nevertheless, I decided to check up on two important neurotransmitters – acetylcholine and epinephrine. These neurotransmitters play key roles in your autonomic nervous system, the ancient system that maintains homeostasis through the regulation of all your body’s organs. What’s more, acetylcholine is the neurotransmitter used to stimulate muscle contraction. The hypothesis of front-loading neurons would lead us to expect that these neurotransmitters exist in organisms that do no possess neurons. And sure enough, they do. A neuron is a very fascinating cell. It is a cell that is specialized to detect changes in the environment, translate that environmental information into the language of membrane potential changes (electrical signals), and engage in long-distance communication by transmitting such electric signals to distant targets in a body. The key to this transmission is the synapse, where the axon of one neuron uses exocytosis to release neurotransmitters that can diffuse and bind to receptors on the dendrite of an adjacent neuron. In essence, the synapse is a ‘decision point’ for determining whether or not the signal will proceed. It is the synapse which confers immense plasticity and potential for control to the whole circuit.